For someone who has repeatedly stated that shorter fiction is really not my cup of tea, I have had a short burst of reading quite a few examples of this craft lately, not at all in a bid to meet certain challenges, I hasten to add! Blackwater Lake actually didn’t fit into any challenge but I do have a couple of the author’s books on my TBR and when another blogger reviewed this novella stating that it featured hoarding, I had to learn more and I wasn’t disappointed with what I found. Matthew Stanyerhad left his Bristolian home as soon as he was able to, although at that time his mother’s hoarding was comparatively low level, he’d never been able to have friends round. As he got older, he visited sporadically but with the onset of his mother’s illness with dementia the visits became more frequent and his concern about the state his parents lived in multiplied. His father is still holding down his job as a groundsman for the Blackwater Estate but managing his wife’s condition is taking its toll. Then the day came when he couldn’t contact either of them and when he finds a note he knows that he will have to call the police. Even now as a grown man he wishes there was another way, he doesn’t want the state of the house to become public knowledge. Matthew needs to clear the house out and starts sorting through the masses of papers and objects stored in the house, the tins of tuna hoarded for an eventuality only clear to his mother and the seemingly endless piles of clothes, many of which she’d never worn. When enough clutter has been sorted, Matthew uncovers some facts about his family all previously shrouded at best in secrecy or at worst shielded from his view in a veil of lies. This is one meaty story for a novella, the characters see definite progression and end up as fully rounded people, although Matthew’s girlfriend is a little more of a shadowy being. 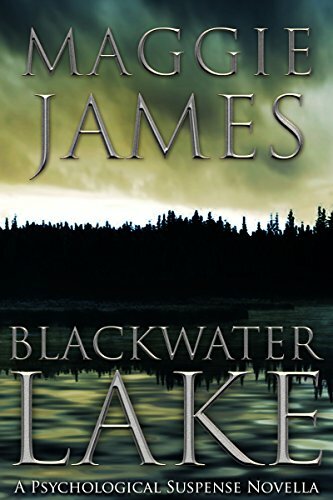 I found the whole story of Blackwater Lake well and truly gripping all of which goes to show that a good story doesn’t need to be long to be satisfying. The plotting was also complex to fit into what amounts to a little under one hundred pages, and yet nothing felt rushed, the story easy to follow and I was on the roller-coaster ride to find out what happened in the past as well as the truth of what led to the disappearance of Matthew’s parents. 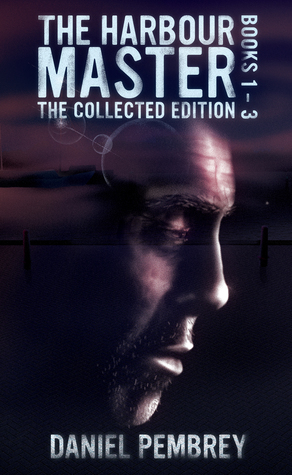 I think it is often harder for a writer to give emotional depth to a story, particularly when the subject is male without moving towards the extremes yet although I never doubted the turmoil the chief protagonist was dealing with, the author didn’t allow those feelings to run out of control. This absolute delight of a novella has confirmed that those books of Maggie James that have sat patiently on the TBR definitely need to be shuffled closer to the top of the mountain. Although I haven’t read the previous two full-length novels featuring Esme Quentin a genealogist, I was keen to find out more so decided to try this novella. Following the death of her mother Gina Vincent, the photograph inside a condolence card reveals a secret that rocks her to the core. Gina calls on Esme to help her uncover the truth about her family. This is a good mystery both in the family history sense where the author’s knowledge of her subject shines through without the often laborious details of reality getting in the way of a good story. That isn’t to say an unrealistic picture is painted of the reality of searching through records but as much of this happen off-page these facts allow the story to flourish while giving a flavour of how such things work in ‘real-life’ As part of their research the pair need to expand their search beyond the birth, marriage and death details, taking on the searching through the microfiche for newspaper stories and even go as far as including a house. All fascinating and woven around a solid story. The characters are solid, especially Esme who comes across as a no-nonsense woman with compassion for the living people who are waiting on her conclusion to the mystery. She isn’t simply a collector of dates and names, those behind the faceless records are given colour by the all-round research carried out. And despite the short format this book the author hasn’t neglected the settings with a good sense of place being maintained throughout, something I find incredibly important and often is skimped on in this format. Despite this being a novella, the book is not all about records and we get a real sense of physical drama when it seems someone isn’t keen on Gina finding the truth about her family. I often feel a little let down by novellas as I am a die-hard fan of the full-length novel but I can honestly say I felt satisfied by the story I was told in this one. I had time to put myself in the characters shoes and admire Esme Quentin as she set about her work as a genealogical detective. As Death of a Cuckoo was such an enjoyable book to read I will definitely be purchasing the two full-length novels available featuring Esme Quentin: Blood-Tide and The Indelible Stain. This novella should be given to teenage daughters everywhere just to reinforce the fact that Mother really does know best! It should scare them stupid and hopefully mean that you don’t have to nag as much as twenty-one year old Ruby Fitzroy’s mother Sharon does. Ruby has been dumped by her boyfriend and after getting to know Cory Strong at the local gym decides to accept his offer of a date. He is good-looking and charming so what could possibly go wrong? Ruby knows her mother won’t see it that way so she leaves having only confided in her younger sister. All goes well on the date, Cody is the perfect gentleman but when they come to leave when Cory is set upon by a burly stranger. Not the greatest ending to a lovely night out but they get into Cody’s car to go home and despite his injuries Cody manfully drives away. Considering this is a novella the characters are amazingly well drawn particularly Kyle, Cory’s younger brother who really does stand out from the page and with the author having the confidence to allow the reader to read between the lines the build-up is full of tension. It is a talented writer who manages to make you thing and then surprise you with something unexpected, and although I haven’t read any of Netta Newbound’s full length novels I have read some fantastic reviews of her work. Now I’ve read this example and been so impressed, despite really preferring the novel as a format, I will be selecting another from her back catalogue without delay. Mother Knows Best was my eleventh read in my Mount TBR Challenge 2017, so I’m still on target to hit 36 books purchased before 1 January 2017. I purchased this book in July 2015. In Rachel Abbott’s fourth book, Stranger Child, published earlier this year we met Natasha Joseph, or Tash as she is more normally called. Tash had returned to the home of her father, six years after she had disappeared without trace where she meets her father’s second wife Emma. In this short follow up Rachel Abbott, after calls from her many fans, allows the reader learn what happened to Tash after the open ending as far as her part of the story is concerned. Rachel has managed to keep up the high standards and weave an evocative tale for Tash who we first meet sheltering in a tunnel, cold and hungry, but she has a most appealing friend Andy who is helping to keep her safe on the streets of Manchester, unaware that she was caught up in the kidnap of her father’s son, Ollie, a dear little baby who got caught up in a plot that began when Tash’s mother died and she disappeared for six years. DI Tom Douglas of course, plays his role to perfection, I admit I am becoming increasingly fond of this decent policeman who features in all of Rachel’s books. Emma is out on the streets offering cake to the homeless in the hope that someone will tell her where to find Tash but nine months on and she is no closer to finding her. Then someone offers Andy serious money to tell them where she is. Tash wonders if the police are offering money so that she can be arrested or perhaps they want her to testify at the trial of the man arrested following the kidnap plot. Or even more terrifying perhaps her original captors want her back! With Andy’s help Tash makes more concerted efforts to hide, but will she succeed? This short book paints a picture of life on the streets for young teens, which felt realistic, the descriptions of hunger cold made me feel guilty as I was curled up in my nice warm house with a plentiful supply of food. Despite being an addition to the previous book, this one doesn’t have a pedestrian feel, the tension mounts to a high level as the hunted Tash desperately tries to avoid being captured. To enjoy Nowhere Child, you really do need to have read Stranger Child, but if you haven’t you can read this back to back for a fully rounded tale although I’m almost tempted to ask Rachel to give us Andy’s backstory – a wonderful secondary character, bought to life in a few but well-chosen words. 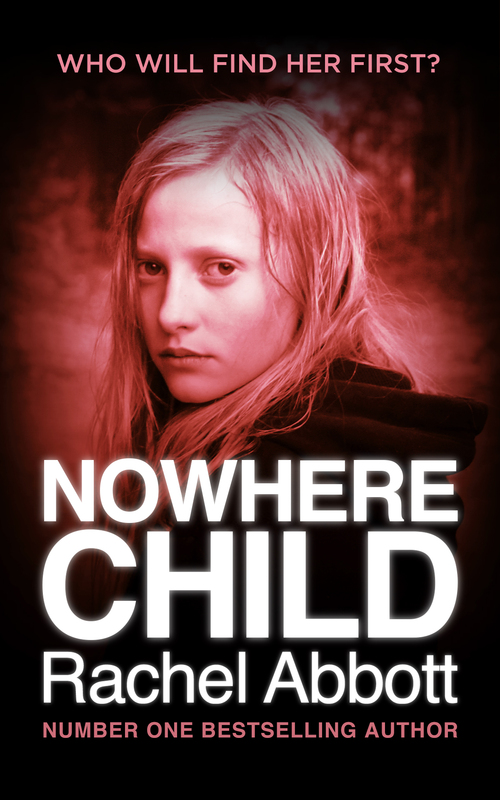 Nowhere Child will be published on 14 October 2015. Rachel Abbott has been named as Amazon’s bestselling #1 independent author in the UK over the last five years and #14 of all authors on kindle over the same period – we can’t all be wrong, if you haven’t tried her books, you really should! I chose this book principally because this author came to my attention through Guy Savage’s fascinating blog where he has reviewed a number of this author’s books. As they sounded dark and different I was delighted when Boxes appeared on NetGalley. 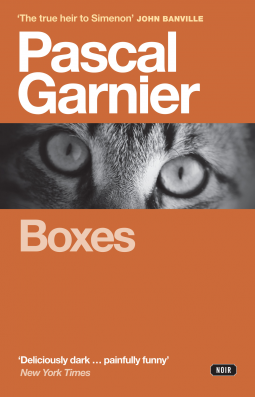 From what I’ve gathered Pascal Garnier’s book Boxes was published posthumously following his death in 2010, also little birds have indicated that this probably isn’t the best example of his work, but I found plenty to enjoy, if enjoy is indeed the right word for such a grim and gloomy book. Perhaps it was an occupational hazard, but they were all reminiscent of a piece of furniture: the one called Jean-Jean, a Louis-Phillippe chest of drawers; Ludo, a Normandy wardrobe; and the tall, shifty looking one affectionately known as The Eel, a grandfather clock. This outfit of rascals with bulging muscles and smiles baring wolf-like teeth made short work of surveying the flat. But despite the efficient way his life is hauled from Lyon to a small village there is something missing, Emma. At first Brice makes a stab at unpacking his boxes but not for long, he wants it to be right for Emma, his younger wife, a woman he isn’t entirely sure he deserves. But women’s hearts are unfathomable and full of oddities as the bottom of their handbags. And then we learn that she isn’t just away, she’s missing presumed dead in a terrorist attack in Egypt, while working as a journalist. Brice knows no-one in the small village although he gets adopted by a cat but his isolation from other humans aids his descent into depression, and worse, as he fails to accept the loss of his wife or to carry on with his illustration work for a children’s book. Illustrating Mabel Hirsch’s books about Sabine had been his bread and butter but Brice dislikes Mabel, Sabine and children. The little brat, whose face he riddled with freckles for sport, was seriously taking over his life. As for her creator, he must have killed her at least a hundred times in the course of troubled dreams. He would throttle her until her big frogspawn eyes burst out of their sockets and then tear off all her jewellery. She could no longer move her poor arthritic fingers, they were so weighed down with gold and diamonds. Strings of pearls disappeared into the soft fleshy folds of her double chin. Old, ugly and nasty with it! Al that emerged from her scar of a mouth, slathered in bloodred honey, were barbed compliments which would themselves around your neck, the better to jab you in the back. With Emma’s parents concern is spurned and it looks like Brice’s life can’t get any worse he meets Blanche, who is at best a little eccentric and constantly impresses on Brice how much he looks like her father who was also an artists. Let’s just say the story becomes even more weird! This is a short book, easily read with wonderful language, especially considering that it is a work of translation which evokes many feelings, most of which are, admittedly at the grimmer end of the scale. 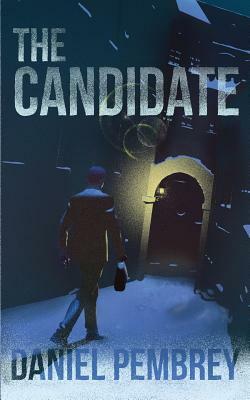 I am absolutely sure I will be seeking out more of Pascal Garnier’s books as this evoked memories of the dark short stories written by the late Roald Dahl, that I loved in my teens. I’d like to thank the publishers Gallic Books for my copy of this book in return for this honest review. Boxes was published in English in May 2015. 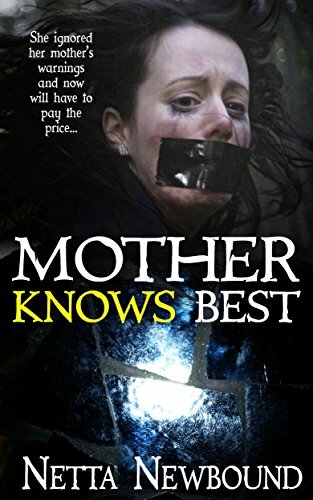 I normally shy away from books which have a supernatural theme but when I saw the first part of a novella trilogy, written by the author of In The Blood, a psychological thriller which I really enjoyed, as much for the fact that this was a book that gave me many different issues to think about whilst being a cracking good read. So I decided to unstick my feet from the mud and give this a go! Lisa Unger wastes no time in revealing her chief protagonist, Eloise to her readers, a likeable character who has a husband who cherishes his family, an awkward elder daughter, Emily, as well as Amanda the youngest daughter who shares her mother’s outlook on life. All too soon this picture is smashed to pieces as Alfie and Emily die in a car crash. This awful event causes Eloise to have psychic visions that she doesn’t want, like or know how to react to but the visions she has can’t be ignored and Eloise needs to act, fast. I loved the writing and I was so totally engaged in this short story that I was completely ok with the psychic parts, helped in no small part that these were linked to a mystery and the fact that Eloise was more sceptical of them herself. Lisa Unger is careful to keep the threads running through the book so Eloise is supporting Amanda while she comes to terms with the awful tragedy as well as suffering from grief herself. I found all the interactions from the beginning where a typical family was getting ready for work and school to those after the car crash perfectly pitched. The pace of this novella was good although the end came far too soon for my liking and I will need to pick up the next in the series, The Burning Girl, to find out what happens to Eloise next. So, not only did I read a novella, the first one this year, but it also had spooky stuff in it and I liked it confirming that Lisa Unger is a truly talented writer indeed. I’d like to thank the publishers Gallery for my copy of this novella that is due out on 27 October 2014, although in the UK Simon & Schuster have a publication date of 4 December 2014, in return for my honest review. 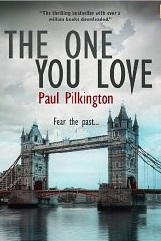 The One You Love is a thriller. Emma’s fiancé Dan goes missing on the night of his Stag Do, two weeks before their wedding. His brother Richard is found close to death at their flat. This isn’t the first time that someone close to Emma has left suddenly and she is left wondering what she may have done to cause this. 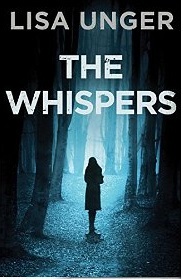 Although the premise to this thriller is good it is quite a disjointed book to read. There are lots of characters, Dan, Richard, Emma, her brother Will, her friend Lizzie, her father Edward and his girlfriend Miranda to name but a few, many of these are introduced quite early on without enough clear definition to make it easy to work out who anyone is let alone where they may fit into Dan’s disappearance. There is also quite a lot of repetetive dialogue which makes heavy work of describing what is going on. Having said that, once I had worked out who was who and what had happened, by part 2, the story picks up. There are a lot of menacing characters and once again the lack of depth meant I wasn’t totally convinced by the motive or the ending, despite guessing who may have been involved. This is a fairly quick read, the book at less than 300 pages and will while away a few hours. There is a sequel novella The One You Fear (Emma Holden suspense mystery sequel) for those who enjoyed this one.